Lunch Sandwiches have long since been a popular food to eat any time of the day for both kids and adults whether at home, work, school, picnics, gatherings or on the run. Although your typical homemade sandwich can range in price depending on how fancy of a sandwich you want you can’t go wrong by making it at home rather than buying it pre-made. Layering your sandwich with roast beef, Swiss cheese and bacon will cost more than having a simple roast-beef and cheddar sandwich so it’s important to know what ingredients you like in your lunch sandwiches so you can stock up when there are grocery store sales. Keeping prices in mind will help to keep costs low while allowing you to eat the best foods available. My wife and I are always looking for lunch suggestions because we get bored with eating the same foods all the time so we aim for variety in our diet. Although I enjoy taking a hot lunch to work every once in a while I don’t mind lunch sandwiches because they are easy meals to make paired with soup or other sides. I do try to keep the sandwiches I make as relatively healthy sandwiches but on occasion I like to sneak in some bacon. Who doesn’t like bacon? It’s all about moderation. I was chatting to our neighbours daughter last week as she was about to go in the house to eat lunch who is 8 years old and always chatting. I asked her what she was having and she told me a bacon, banana and peanut butter sandwich or avocado with cream cheese sandwich. Although I’m not a huge fan of peanut butter I thought her lunch suggestions were well-balanced but most of all unique. With kids though you have to keep them interested in food just like most adults want to be motivated. One day they might like one food and the next they hate it. She had me thinking about what types of lunch sandwiches we enjoy eating in our home and were they cheaper to make than to buy at a grocery store, food truck, deli, restaurant, vending machine or cafeteria. Well of course it’s cheaper and let me tell you why, because you made it at home. Eating on the run will always cost your budget more money. It’s always nice to pay yourself to be the family chef. Below are a few sandwich ideas that I think are noteworthy for anyone who enjoys simple lunch sandwiches without all the fuss. I love a nice panini sandwich filled with ham, turkey, cheddar and apple slices then grilled in a panini press. So, if you don’t have a panini press yet ask for one at Christmas time or scope out the sales throughout the year. They are a great way to jazz up any sandwich so they aren’t so boring plus you get a crunchy texture that you won’t get with pan frying. This is one of the easiest lunch sandwiches to make especially if you have a garden full of organic tomatoes that need using up. There is nothing quite like fresh tomatoes sliced with a bit of olive oil, salt and pepper layered on a slice of bread then topped with a bit of homemade or store-bought mayo. Easily this sandwich will come under $2 to make at home even if you had to buy the tomatoes at the store. I think just about all of us have grown up eating a cheese toastie also known as the grilled cheese sandwich. There are so many variations of this sandwich that the costs involved go up depending on what you pair with the cheese inside. Overall, if you keep it simple you could likely get 2 grilled cheese sandwiches in your belly for $2. Once in a while our son likes a peanut butter and sugar-free jelly sandwich for lunch but he has to be in the mood for it. Although PB&J sandwiches are cheap to make peanut butter these days must be bought on sale as prices have sky-rocketed over the years. A 1kg jar of peanut butter for $3.99 is a sale price that most people will stock up on. If you fancy bacon on your PB&J sandwich add a bit more $$ to the costs but again this certainly won’t bring these lunch sandwiches over 2 dollars each. Watch for sales on bacon and stock up in your freezer. It’s not uncommon to find a pound of bacon for under $3. I know this may seem odd to you but it’s actually very good. How do I know? Our son loves banana sandwiches with bacon on top. Sometimes he might even want a bit of peanut butter or cream cheese layered in his sandwich too but for the most part he digs a jazzed up banana sandwich every once in a while. 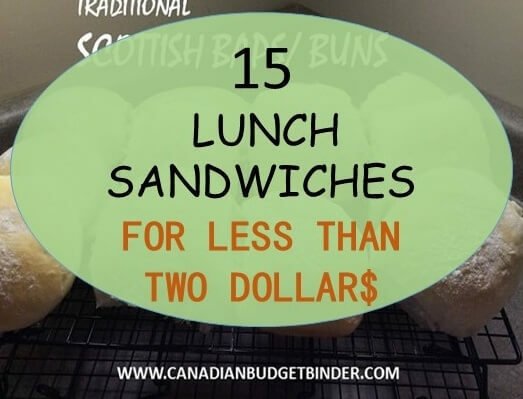 It’s also nice for change and if you buy a pound of bacon for $3.99-$4.99 or even on sale for $2.50 making these lunch sandwiches won’t cost you much money. If you are after a sweet fix add some honey to the peanut butter and banana sandwich for a nice treat. Even a dollop of yogurt tastes delicious! Quite possibly one of my favourite easy lunch sandwiches is the egg salad sandwich. I like to add a bit of lemon to my egg mixture along with fresh spring onions to take the flavour up a notch. There has to be butter on egg salad lunch sandwiches along with some pickles on the side with a hot bowl of soup. Not everyone knows how to make a simple sandwich so here goes the fasted egg salad sandwich I’ve ever made and eaten before. Crack the shells off and add all the other ingredients apart from the butter. Mix well and serve on a buttered bun or even in a wrap or pita with sliced mozzarella or cheddar. Some of my favourite tea party sandwiches are cucumber with a herb and garlic cream cheese and curried egg with a bit of mayo, old-fashioned ham and old cheddar with butter. These were always popular back in the UK at my parents and relatives house. My mum would make these small sandwiches for a lovely afternoon lunch with some fruit and vegetables on the side with a cuppa tea. Mix everything in a bowl apart from the butter then make your tuna sandwich. The tuna sandwich is one of the least expensive lunch sandwiches to make. Most adults and children love tuna fish sandwiches and you can buy the ingredients for so cheap. If you have leftover chicken from that rotisserie chicken you bought at the grocery store for $5.99 or if you’ve made a chicken and have leftovers now is the time to stuff it in a sandwich. I love chopped chicken with a bit of mayo, salt, pepper, pineapple chunks and a bit of Franks Red Hot Sauce. You can literally add all sorts of flavours and textures to chicken salad sandwiches. We always get leftover turkey to bring home after a festive occasion at the relatives whether it’s Christmas, Easter or just because. My wife and I both love double or even triple-brie cheese so if we can get it on sale we’ll stock up so we can slice it up and add it to our turkey along with any leftover cranberry sauce. We then warm it up to melt the brie and top with hot homemade gravy. This is one of those lunch sandwiches you will eat with a fork and knife but it will be so worth it. The great part is this is inexpensive even if you pay $4.99 for a small brie it will still yield at least 3-4 sandwiches which is a great price. I can’t tell you how many times I’ve had this Italian sausage and roasted red pepper sandwich before. It is so delicious and the roasted red peppers really are the star of the sandwich. You can buy a jar for about $1.99 or roast a couple on the stove-top or BBQ, add some olive oil, garlic, salt and pepper after you skin them and you’re good to go. Grill up some Italian sausages, slice in half and layer away on a fresh Italian Bun. You don’t need any condiments on this one, just enjoy the grill flavours. Everyone loves a bacon, lettuce and tomato sandwich especially club style and toasted. I always enjoy one of these lunch sandwiches when it’s a dreary day outside or raining for some reason. I guess it just makes me happy when I see how gorgeous all the layers look on my plate. A budget-friendly sandwich that should top any sandwich list. This is another one of those sit down lunch sandwiches that you need a knife and fork for. You can bring this to work with you as long as you have a microwave oven and toaster. If you don’t mind doing a couple of minutes of prep work to cook it up you can enjoy this hot lunch in a jiffy. Although you may not be able to poach an egg at work you can easily microwave an egg and beans to top over the toast. If you like cheese you can shred it at home then add a bit to the top. If you are at home enjoying this simply poach an egg or two in some water with a bit of vinegar, swirl the water then crack in your egg. Easy! Although beef mince may be costly in some cities across Canada when I make meatballs I like to add a mix of pork and beef which make them cheaper. I can typically get a pound of pork for under $3 and a pound of beef for $5 sometimes less. If you can bulk beef mince in bulk you may even save some money this way and you can break it up and freeze it when you get home. Sometimes I just make huge batches of meatballs and freeze them raw. Keep in mind that 2 pounds of meat will make a boatload of meatballs that you can drop raw into a homemade tomato sauce to cook on low for a few hours until they are moist and delicious. The costs involved making a pot of homemade pasta sauce is minimal. You can find my meatball recipe here but making a huge pot of meatballs and sauce can be used for pasta and meatball night or for Mozzarella Meatball Sub and all for around $1.90 each. If you like eggplant I also make a beautiful eggplant meatball which would be perfect topped with sauce and mozzarella on a bun. I’ve also made crock-pot turkey meatballs and BBQ sauce which would go perfect on a bun with cheese for dinner. My wife loves to make vegetarian sandwiches that are easy which means adding lots of fresh vegetables to a light layer of cream cheese on a bun, wrap or pita. If we ever find Portobello mushrooms on sale she loves a grilled Portobello mushroom with mozzarella cheese melted on top with a bit of pasta sauce. You can also layer grilled eggplant or zucchini topped with cheese. The sky is the limit when it comes to vegetarian affairs such as the sandwich so splurge a bit and enjoy seasonal veggies for lunch. Mayonnaise or other condiments you’d like. Lunch sandwiches made from wraps are healthy and can be filled with just about anything your stomach desires.The best part about wraps are they are less filling than your average 2 slices of bread and may cost less as well. Wraps can run about $2.00 for 10 large whole wheat or white wraps at the grocery store. A loaf of commercial bread can cost up to $3.99 or more for one loaf. Some loaves of bread sell for $1.00 at the Dollar store and if you love to bake you can make bread, tortillas, pita and wraps for even less. How’s that for a list of lunch sandwiches that are exciting and frugal to make. Although we all have different tastes as you can see it’s easy to create a sandwich that you enjoy by manipulating ingredients in already popular sandwich recipes. What are some of your favourite lunch sandwiches that you make that are inexpensive and delicious? This is our last shop for the month as we are heading home to my wife’s parents house tomorrow where food will be supplied even though my wife is bringing some bits from home since she is on a low-carb diet. Overall we had a great shop this week for some odds and ends. 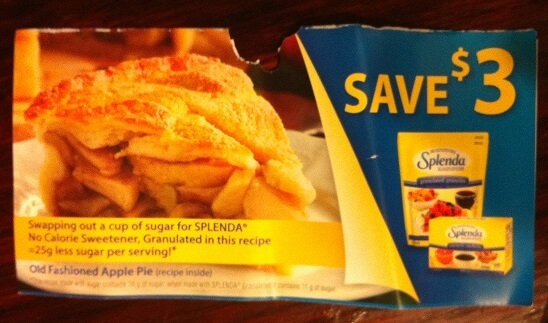 I found one coupon this week for sweetener which is great because it’s $3.00 off even if you buy the packets in the box. You can practically get them for free if you can find them on sale. (The above total does not include the stockpile budget of $300 per year or $25 per month. Weekly Overview (your final thoughts) I used the gift card from my sisters-in-law finally for most of the food for the Christmas dinner and such. I got my turkey too using those turkey bucks. I even have enough in the budget left to do well for the month, which means I can make the year for the first time in 3 years of trying and working at it! Thank you Loretta and Noreen!! That gift card really helped!! No I didn’t ask for the gift card. We quit giving gifts as adults in the family years ago. But when hubby’s sisters found out he was going back on his chemo drug they both came for a visit and left an early Christmas card with the gc inside for the store across the street. They have both been very supportive of both of us over the years with hubby being sick and such…thankfully. I manage at Foodland by watching for those stickers and getting as much sale product as I can when I can. That was nice of them Christine. Every little bit helps. You are fortunate to live so close to be able to watch those prices. A small shop and the end is in sight. During the holidays is our snacking time, so I decided that despite the smaller budget I was going to keep with that tradition. It showed in last week’s shop with finger food, and this week with chips and dip and prepared pizza rounds rather than scratch (just had to throw dinner together quick that night and didn’t have 2 1/2 hours to make our favourite pizza dough and we needed sauce too). We also needed some snacking things for our car ride to and from my sister’s place for my son and I, and to be fair I got some for hubby too while we were gone. It’s an easy way to keep him out of the drive thru. Cheese was an awesome sale again at Shoppers. No price matching, time just didn’t fit to get to RCSS on Tuesday for student discount, but the deals speak for themselves. I have a small takeout budget allowed for our trip to and from my sister’s place. Subway is the easiest and reasonably healthy for such a small budget. Also, I have a few Halloween coupons that need to be redeemed at Wendys before the end of the month and that will account for a couple of items. I anticipate coming in under budget this year, but the budget fluctuated a lot in the first half of the year. It will be more rigid in 2016, we need to pick a dollar value and only reevaluate it at the end of the year. Money flow made that more challenging this year, so target is going to be low, with the possibility for an increase in July when family visits. Christmas this year did the grocery pantry well. My mom got me a few items to put on the shelves, my son got me my favourite coffee and my in-laws got me two containers of my favourite coffee and a $25 gift card that I can use at RCSS. It’s all I wanted this year and I can say, they took me seriously. Hubby was annoyed with me, he says I should have expressed interest in other things, that way he wouldn’t feel bad because he did. If he spent as much time with the numbers, I think he would have been a little more selfless with his desires, and yes, he wanted stuff. But, in all reality, stuff can’t fill my belly. Whatever we don’t have to buy I one more step to keeping our home. So, everyone gave me the best thing I could ask for, a little help. We see my sister over the 27-30 and I anticipate more from her. I love that my family cares. Yes, it is important that both adults are part of the financial process. Wish I could convince my hubby of that. I always worry that if something happened to me, he would have no clue what to do! He’s a work in progress, I’ve combated his awful spending over the course of our first decade together, the second decade I’m working on getting him involved in the finances. Baby steps, and a wish that he wanted to get on board. In the mean time, I keep a simple budget sheet on the fridge which I update every few months so that the basics would at least be covered. My son knows it’s there, so he would direct my hubby to it if needed. Hubby has been told that it’s there, but he has short term memory problems and desire to listen problems, lol! That’s just it if something did happen he needs to know what to do. Many people are in the same situation. Yes baby steps is smart because if you dump it on him all at once he’ll run the other way. Let us know how it goes. Yummy! Those sandwiches are really delicious especially the italian sausage and roasted pepper sandwich. I know I love that one!! Merry Christmas Jayson. Actually… I might as well practice with my first Grocery Game Post right?! I am single, F, 39, living in downtown Toronto and started a budget on Dec 4 to get rid of consumer debt, pay off my mortgage faster and finally being able to save for retirement. I have a daily Starbucks habit that has also been adjusted to one coffee a day ($2.36). Luckily using “swagbucks” I have financed my coffees this month by answering questionnaires etc and I am hoping to keep this up going forward. I have started to pre-cook breakfasts and lunches (used to pickup something on the go, at Starbucks or at the company cafeteria) and am proud to say that apart from my weekly grocery runs / stops at the drugstore I have been very good and didn’t spend much else during the week. My biggest challenge though is the grocery/household budget. C) having a hard time resisting an item that is on sale and I have coupons for. While I overspent this month for a number of household items I know I will use them within the next months. And considering that I am just starting out, I am o.k. with the results. Hi and Welcome to the GGC! As you will read many of us have started out where you have and have made amazing leaps with our grocery budget by posting here and motivating each other. This was our weakest area for our budget too and is always a struggle but knowing the GGC team is waiting for the report makes us push harder to stick to the plan. Will you be posting weekly? If you can break down your weekly shop so we can read what you buy, what you paid and saved and where you bought it that would be great. I like to review each post and leave some comments about your shop. 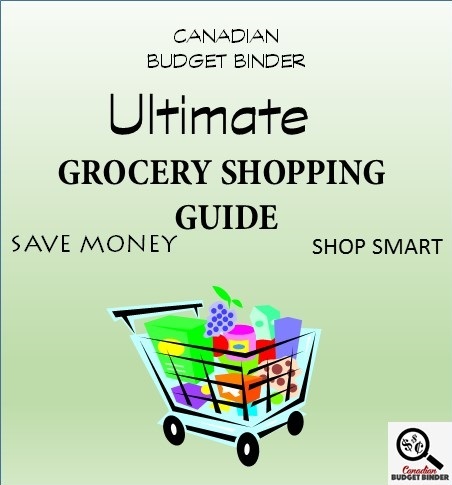 If you need any help don’t hesitate to comment here as any of us will help you or you can email me canadianbudgetbinder@yahoo.ca and I will respond. 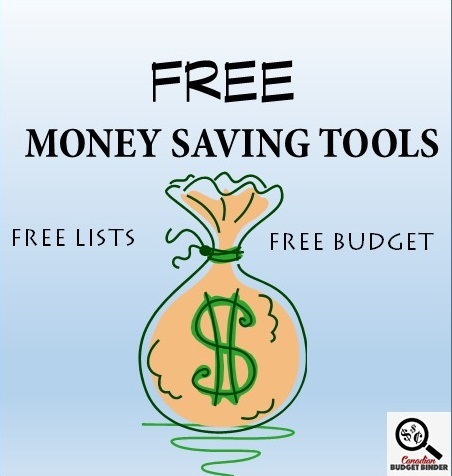 How do you plan to stick to your budget each month? Have you set any goals? I’m looking forward to having you on board this year! Every month one GGC player will be randomly picked to win a grocery gift card. Every week you post your shop you get 1 ballot in the draw. I will be posting the 2016 schedule shortly in an upcoming GGC post so you can print it for reference. Mary who has been playing the GGC since it was started kindly did the schedule for us again this year. You can follow along the weeks posted to stay on track or do your own as long as you keep up with tracking your numbers and letting us know where you are in the month. It’s fairly easy though. 🙂 Best of luck in 2016… please do join us on my Facebook page too as we are all posting in the nightly “What’s For Dinner” post I put up and it’s a great way to chat about food and expenses. 🙂 Mr.CBB You get ballot 11 for your month in review post. Thanks so much for the warm welcome Mr. CBB! Yes I will do my best to post weekly because that’s the accountability I need to succeed. It’s like being on a diet… accountability and peer support is half the battle! I probably have enough cereal, butter, shampoo, toilet paper, dishwashing packs and laundry detergent for the next half year now. 🙂 So you are allowed to yell at me if I am buying more household and cleaning supplies before Easter. These are really great Sandwich ideas! Thank you! And starting next year I want to join the Grocery challenge! Do I have to sign up officially, or do I just post my weekly grocery runs here (or in the new year post respectively)? I just started using snap by groupon, checkout51 and printed coupons. Also just signed up for PC plus points and made a fairly ok budget, so after December being a testrun, I am looking forward to January 2016. We have $14.70 remaining available from our recent shopping trip to the USA. This balance will now be transferred back to the Christmas reserve for use this holiday season. I will also transfer the $4.72 Regular Groceries over to the Holiday groceries as it’s all about the holiday season now straight through to the new year. Holiday Groceries $8.92+$4.72+$14.70-$4.69-1.97- 5.94-22.04= ($6.30) << Oh Oh! I am over!! Oh dear, I am over $6.30 this week. I will have to use some points when I finish my shop on Dec. 30th at RCSS for our New Years supplies!!! OUR CURRENT TOTAL UNUSED RESERVES ARE $848.70. This means the $1,230.00 that we carried forward from 2013 & 2014 less the $381.30 that we drew out of our reserves for purchases in 2015 but the funds had already been recorded as spent. We have groceries that have been purchased using points redeemed, rather than the budgeted cash in the amount of $87.81. Available as an offset, we currently have $87.81 in our UNUSED CASH RESERVE. As at this moment, we need and additional $0.00 in the UNUSED CASH RESERVE. If our budget is truly sufficient, when we reach December 31st, the unused funds should still be equal to, if not greater than, the value of the points redeemed. It’ll be interesting to see if they actually are. Well you are certainly stocked up that’s for sure. You have the points to use up so you might as well use them if you need them. I was going to ask you if you’d be using those rain checks by the end of the year too. I have one I think I need to let go. I’m going to track rain checks next year too. How big are the jars of sugar free pancake syrup? That seems like a great deal for them. What do you use Molasses for? I have a carton that I’ve had for ages and use in cookies or baking mainly. Lots of great deals this shop!! Well done Mary. You get ballot 10 Mr.CBB. Ha, I know what that’s like. Sometimes I just don’t look at the flyer if I need a no-shop week but that’s hard to do. Same here.. it’s been a fun year. I will evaluate for the last post of the year. 🙂 I love the end numbers. If I’m at home, I typically make PB and Jam sandwiches. I don’t typically make sandwiches for lunch as I find it’s best to make them that morning and I don’t work like that. I’m up and out the door so anything needs to be made the night before so typically my lunches are hot for what I take to work. 2nd last grocery posting of the year….where has the year gone?? Overview: One more shop of this year. I should still be able to end the year in the black, in all areas. There is much to improve but I know that I have done just about a full 360 from where I started this year at, which I am please about. I have 2 (plus my fridge) freezers which are full of food that I never thought I would see. I just need to expand on my menu but I know that’s not going to be easy as I don’t like certain foods. I’ve made homemade hash browns but only if there’s leftover potatoes. I’ll be using the Reeces Pieces for baking…cookies, brownies, etc. Unfortunately that bag won’t go far. The evaporated milk will be used for homemade mac and cheese or baking. Really have to watch what I make as I’m pushing the freezer space to the limit. I’m horrible for stealing chipits from the bag so they wouldn’t last long around me. That’s a great idea to use it for mac and cheese!! I think I want to see a photo of your freezers packed!! haha! I make crispy hashbrowns once in a while too if there are leftovers. Well I’ve sent an email to you of my 2 chest freezers and fridge freezer….mainly full. A lot of that is the result of applesauce, corn and the 1/2 pig.